43. 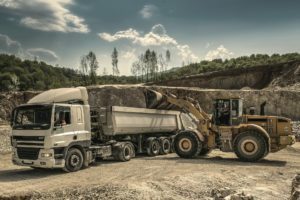 Mining Fads and the Herd Mentality - KJ Kuchling Consulting Ltd.
Have worked in the mining industry for over the last 35 years it is always interesting to watch the herd mentality that exists. Its obvious how easily we all get caught chasing the latest fads. All it takes is a short term spike in a commodity price or a big discovery somewhere and then off everyone goes running in that direction. It doesn’t matter the rationale driving the event, all we know is that we need to be in there and our investors want to be in there too. Based on my experience, the fads that grab us can include commodities, locations, or technologies. The mining industry is very flexible in that regard. I’ll give a few examples that I have seen. You probably have even more from your own experience. It seems that as soon as there is a price spike or positive market narrative, a commodity can take on a life of its own. The following list gives a few examples and when you think about them ask how many actually came into successful production. Potash: a few years ago potash prices spiked and potash properties were all the fad no matter where they were located around the globe, be it Canada, Russia, Ethiopia, Thailand, Brazil, etc. That has largely fizzled out as prices returned to normal. Lithium / Graphite: as soon as green battery technology started to be promoted in the news, miners couldn’t run fast enough to pick up the lithium properties. 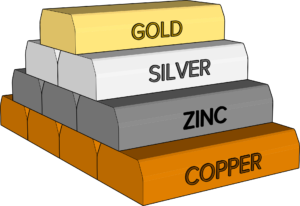 The same idea hold for the graphite, vanadium, cobalt, and rare earth categories. Parts of the sector are still hot in 2018 although lithium stories seem to have run their course. Uranium: years ago uranium prices spiked and Ur properties were hot everywhere. Prices have dropped but seem to be ramping up in late 2018. Nickel: years ago a spike in nickel prices caused a surge in nickel properties, whether it was sulphide nickel, laterite nickel, or other forms. Iron Ore: in conjunction with the Chinese construction boom, iron ore properties were hot around the globe, in high cost or low cost jurisdictions, it didn’t matter where the property was. Iron is still being pursued but mega scale projects always overhang the market. Diamonds: in conjunction with the first diamond discoveries in Canada in the 1990’s, diamond properties became hot, whether in the Canada or around the globe. If you couldn’t get a property in Canada’s NWT boom area, anywhere else was fine. China in general: a few years ago every base metal project was thought of as either a potential supplier to China or a potential acquisition for Chinese companies. As long as it could meet Chinese investor interest it was good. We have all seen the staking rushes that occur when a world class prospect is discovered. I’m sure we can all recall getting the large claim maps (as shown) with their multicolored graphics showing the patchwork of acquisitions around a discovery. PDAC was great for distributing these. They were well done and interesting to study. Picking up properties in hot areas became the fad and share prices would move upwards regardless of whether there was any favorable geology on the property. Who recalls the following? Voisey Bay: with a mad staking rush around there, with nothing else really paying off in the long run. Saskatchewan: the potash staking rush where almost every inch of the potash zone was staked with only a couple of companies eventually moving forward and only one going into production. Indonesia: during Bre-X people could not acquire properties in Indonesia fast enough. NWT: where the diamond property staking rush was crazy in the mid 1990’s. Paste Tailings: with numerous conferences and consultants promoting thickened or paste tailings technology as the panacea. This lead to numerous studies related to thickening, pumping, and disposal at each mine. Block Caving: whereby in order to deliver high tonnages at low cost, bulk underground mining was being promoted. Everyone wanted their underground project to be a low cost caving style operation. High Pressure Grinding Rolls (HPGR): where process consultants would highlight HPGR as the new replacement for conventional grinding mills. I’m not sure this technology has taken the industry by storm as they were hoping in the 1990’s. IPCC: whereby inpit crushing and conveying systems were being promoted in many articles and global conferences as the solution to operating cost issues. I think implementation of IPCC technology isn’t as simple as envisioned and I’m not aware of many cases of its successful implementation. Dot.com: in the early 2000’s many junior miners left exploration behind and transitioned to the dot.com boom, a fad that essentially went nowhere for most. Medical marijuana: it seemed to be the hopeful future for some junior miners in 2000 and still today. The new marijuana entrepreneurs are building on the junior mining model of heavy promotion with skyrocketing valuations and questionable economics. The bottom line is that over the years it has been interesting to watch the mining industry react to events. Sometimes it seems like we’re passengers on a boat, running from one side to other side and then back again. Unfortunately that doesn’t necessarily make for smooth sailing and can result in upset stomachs. What’s the next fad? I don’t know but if you can predict it you can probably make a lot of money. ‹ 42. Global Tax Regimes – How Do They Compare? Voisey’s Bay….based on no new discoveries, probably true, but the best place to find a new orebody is next to an orebody. Saskatchewan Potash – Early mines had troubles producing. Several have been lost over the years. I lost a job when Cominco flooded back in 1970. Nevertheless there are quite a few mines in production right now. Bre-Ex – it was a scam and it entrapped a lot of people. Diamonds – up until Chuck Fipke came along they were a pipe (no pun intended) dream. Now that we know they are there…why not look for more? Paste fill – definitely a winner for geotechnical reasons, although it took quite a bit of time to sort out the transportation issues. Kidd Creek would be closed without paste. Block cave – Afton is an example of a mine where block cave has renewed its life. My first exposure to block cave was San Manuel, where they took 650 million tonnes of 0.6% copper from underground. That’s a huge economic and logistical success! 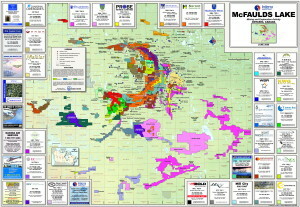 HPGR – maybe the jury is still out, but conventional technologies have not helped Mt Milligan, or Copper Mountain. Hard ores are especially difficult and SAG may not be the best process. IPCC – agreed that it’s complicated, but it works and reduces truck fleets considerably. Dot.com – right on! Most companies were destined to failure. Even today we have some highly overpriced ones like Amazon or Netflix, but at least they have a business plan and earnings. Medical marijuana – it’s a “growth” industry! Pre-concentration – with low grade orebodies it may be a way to keep mining in BC. We need someone with the courage to try it. Here are a couple of my bugaboos. Consensus metal prices – everyone uses them but no one believes them, particularly banks. Government’s demands for consultant opinions – companies hire professionals who then hire consultants to do the dirty work. It’s a growing trend, yet companies usually possess the requisite skills in house. For future articles…why not do something on the high cost of mining software? It’s driving the little guy right out of the business.